In 1935, a proposal for developing an assault gun (Sturmgeschutz - Stug) for infantry support was put forth for the German Army. This would be equipped with a 75mm gun on a tracked chassis. This would provide striking power and mobility not available with a standard howitzer. While it did not have a rotating turret, the gun could be moved through 30 degrees of vertical and horizontal traverse. Daimler-Benz began development in 1936 and based it on a Panzer III chassis. The forst model featured a short barreled 75mm L/24 gun. The superstructure had 50mm of armor protection on the front and 30mm on the sides. 30 Ausf A guns were completed by May 1940 and were sent into combat against the French, where they did rather well. As a result, StuGs of various marks were completed during the war and were quite successful. Although Tigers and Panthers have earned a greater notoriety, assault guns collectively destroyed more tanks. Because of their low silhouette, StuG IIIs were easy to camouflage and a difficult target. Sturmgeschütz crews were considered to be the elite of the artillery units. Sturmgeschütz units held a very impressive record of tank kills – some 20,000 enemy tanks by the spring of 1944. As of April 10, 1945, there were 1,053 StuG IIIs and 277 StuH 42s in service. Approximately 9,500 StuG IIIs of various types were produced until March 1945 by Alkett and a small number by MIAG. According to the photo etch fret, which is for engine screens, this is one of Dragon's older kits, however, I do not think it is completely old as those kits did not have individual track links and this one includes those. The kit is still nicely molded and I did not see any issue such as flash or sink marks on the parts. You will have to do some modifications to the hull, including moving one of the mounts for the return rollers to the prop er location for an A. The majority of the parts in this one are for the tracks as StuGs were pretty well buttoned up. There are no interior bits for this, but you can open a hatch or two if you wish to install a figure. This kit does come with a pair of them just for that purpose. Typical of these orange value kits, you get an additional figure set as well. This has four standing fig ures from Panzermeyer 'LAH' Division in 1941. 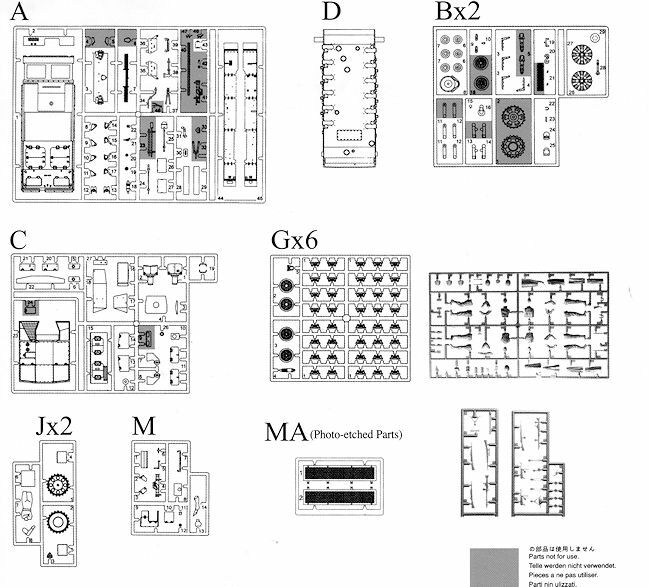 Instructions are well done in the smaller format that is typical of these kits. The painting guide for the figures is in full color as is the guide for the StuG itself. Markings are provided for three vehicles, all from Russia in 1941 at the start of Barbarossa. One is Michael Wittmann's vehicle, another is with Abt Schoenberger and the third is unidentified. All are panzer grey with little in the way of markings, as is typical of these vehicles. 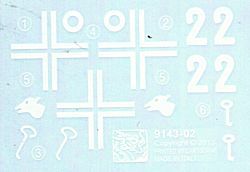 The small decal sheet is nicely printed and provides all that is needed. 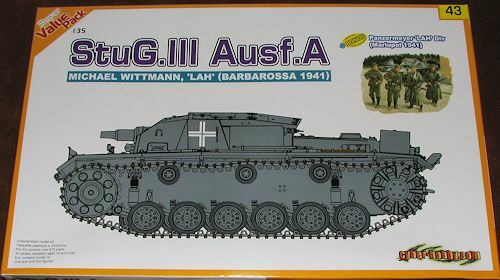 If you have wanted a StuG IIIA, now you have the chance and you don't have to pay a fortune for it either. These kits are generally well received, thanks to their lower price and the bonus figures.